Apple's New iPad Ad Inadvertently Pushes the Need for Touch-Screen Macs! But a couple of years ago, Apple released an ad for the new iPad Pro that drew both ire and ridicule for the line ‘what’s a computer’ uttered by a young person using the iPad Pro with a keyboard attached. 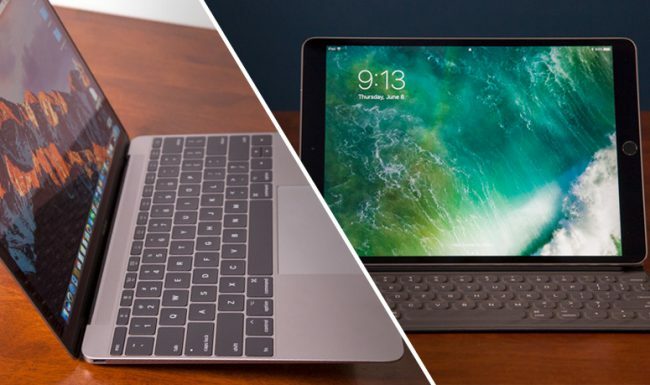 The push was that between the advances of the iPad design, Apple’s processors, and iOS features the iPad Pro could eventually make a traditional computer obsolete. And I have friends who have done exactly that! – Computing power – which is very true. – Capabilities – between high-quality built-in cameras and powerful apps, you can use iPad as a full-on multimedia workstation. – Portability and battery life, along with optional LTE connectivity. Those last two were the ones that REALLY made me stop, rewind the video and watch again. Seriously – Apple dedicated 20% of their key reasons for the iPad being a great computer to its touch interface. Think about it – they are saying that one of the top things that a computer needs is a touch interface – and NONE of their computers have one. Yes, I know that the precision and utility of the iPad touchscreen is much better than on any of my Windows-powered laptops or hybrids – but that isn’t the point. Apple has shifted its positioning for the iPad from ‘an alternative path’ to ‘another choice’. What it fails to notice is that the key differentiating factor between iPad and a ‘real’ computer is the operating system. And what is REALLY keeping the iPad from being ‘my next computer’ is that iOS can no longer keep up with the incredible iPad hardware.